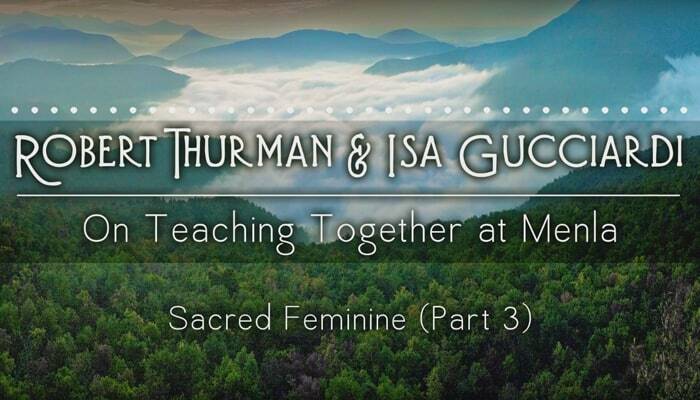 Robert Thurman and Isa Gucciardi come together at the Sacred Stream Center in Berkeley, CA, to discuss their workshop, Embracing the Sacred Feminine. Bob talks about the experiential aspect of this workshop and how Isa helps make the material accessible. Isa and Bob talk about how the Sacred Feminine helps connect students to the healing part of themselves. This workshop regularly takes place at Menla Mountain Retreat Center in Phoenicia, NY. For more information on Embracing the Sacred Feminine, visit sacredstream.org or menla.us.